Mature learners have unique learning needs and traits that should influence your eLearning course design. In this article, I share the 7 top facts about adult learning theory that every eLearning professional must know. In 1968, Malcolm Shephard Knowles put forward a theory that distinguished adult learning (andragogy) from childhood learning (pedagogy). He expounded his ideas using five main assumptions. Out of these five points, he extrapolated four principles to make adult learning education more effective. Ηis theory still holds water. It’s closely referenced in the development of eLearning material. 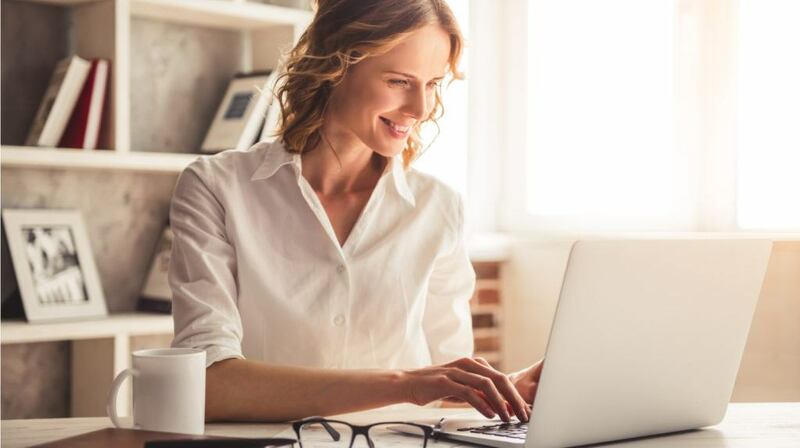 Here are 7 notable facts and tips about adult learning theory that you may want to consider before creating your next eLearning course. In childhood, we model ourselves off our parents and siblings. As teenagers, we pull away from family to mimic our friends and peer groups. It isn’t until adulthood that we pick-and-choose from these two stages. We form a complete entity we call our ‘self’ and can be very attached to it. Even if we’re not emphatic about identity politics, we do have a clear sense of self. We know we’re distinct and separate from those around us. This affects our decisions and actions. In a training context, this means we want a say in our eLearning courses. We require a healthy sense of autonomy in learning. Otherwise, we soon lose interest. Kids go to school with a good deal of knowledge, but it’s not necessarily academic. By pre-school, they vaguely know how to share and speak. But there’s lots of space for fresh data. Adults, on the other hand, have a world of experience behind them both academic and social. To teach them effectively, you have to feed into what they already know. Piggy-back off that and launch new concepts. This is crucial, because if your new data clashes with their existing knowledge base, they’re not likely to accept it. You have to skillfully integrate into their lived experience, becoming an active part of their thought process. Kids go to school because they’re supposed to. Adults learn because they see the relevance. If they don’t train, it could cost them a non-compliance fine or a promotion. They consciously decide to pick up a new skill or polish a valued hobby. It’s a choice, not a duty. So their learning needs to be goal oriented. They have to see measurable learning objectives and have a clear system of gauging their progress. Otherwise, they’ll just walk out of class. An eLearning course for adult learners must be tied to real-world applications. For example, incorporate simulations or real-world examples that allow them to see how the skill relates to their job duties or will help them overcome a challenge that is hindering their work performance. Closely tied into their practicality is their willingness to attend the eLearning course. They paid for this eLearning course themselves or were sponsored by their employer. But they’re still aware they’re in the session by choice, so they’re open to learning. They see the value in it and can comprehend the big picture. This makes them more receptive to study the online training material. It also makes them more discerning. They can recognize quality and are more vocal in demanding it. They relate to online instructors and eLearning course designers as peers, since they’re fellow adults. They rarely hold them in awe or derision like kids do with their teachers. Keep online training material relevant and task based to tap into their openness and interest. Kids can be trained with ‘carrots and sticks’. They want their teacher to like them, and they’re eager for those gold stars. They’re scared of disapproval. These polar emotions can keep them working hard, at least for a while. Adults develop their own methods of motivation. Focus their online training on problem-solving. Rote learning doesn’t do them much good. There’s no stage in their workday when they’ll need to recite their lessons. Instead, offer simulations and contextual role play, showing how to translate their online training into real life. This will keep them coming back to class. The adult learning theory hinges on experiential learning. Which means that adults are encouraged to explore the subject matter firsthand and learn from their mistakes. For example, participate in branching scenarios that show them how their actions or behaviors lead to real consequences. As a result, they are less likely to make those mistakes in the workplace and continually develop their experiential knowledge. A core principle of the adult learning theory is that online learners must be actively involved in the process so that they’re empowered and motivated. They should play a part in developing eLearning content, evaluating performance, and creating training criteria. Conduct surveys to get their feedback, then invite them to sit through a test course to identify gaps. They should also be able to personalize their learning paths and choose eLearning activities that are relevant to them and their job duties. Namely, resources that allow them to immediately apply what they’ve learned and address individual pain points. Some of Knowles’ concepts of andragogy are generally accepted. Others are disputed because they overlap with pedagogy. Further research has shown that childhood to adult learning is a spectrum. Some kids are precocious and some adults are immature where online training is concerned. That said, Knowles’ adult learning theory states adults have a developed sense of self, prior experience, practical reasons for learning. They’re ready to learn and internally motivated. As a result, their online training programs should be self-directed, relevant, contextual, and task-based. They should be less theoretical and more hands-on. Do adults learn in the same way as their younger counterparts? Or do they need their own special approach to absorb the information? Do you know what your adult learners need to achieve their goals and tackle everyday challenges? Are you looking for ways to keep your adult learners engaged during your eLearning course? Download our free eBook Designing eLearning Courses For Adult Learners: The Complete Guide to find out about the adult learner characteristics, the obstacles they need to overcome, ways to engage and motivate busy adult learners, and some amazing adult learning facts and stats you need to know as an eLearning pro.